Are You Looking For Instant Iaso Tea Samples? 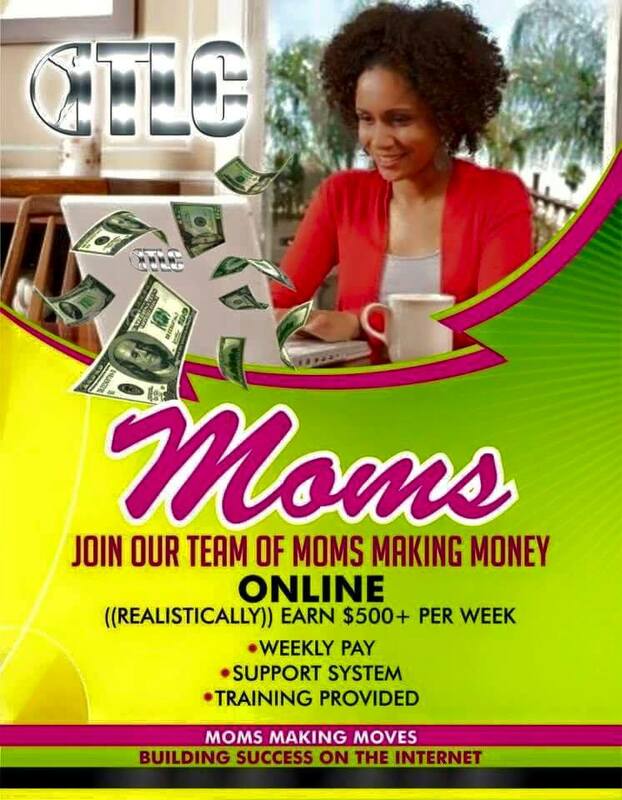 If you're on the internet looking for a Total Life Changes rep who can give you an Iaso Tea Sample, you're in luck! I know how hard it can be to find Iaso Tea Samples so I do periodically make them available in addition to selling the one week supplies. If you don't know a little about Iaso Detox Tea, allow me to share just a little bit and why it's so popular! Iaso Tea is the anchor product of Total Life Changes aka TLC. It is a gentle colon cleanser and total body detoxification tea. You can enjoy all the benefits of our original proprietary blend and share a great glass of tea with others while you are out and about. It's so convenient that you can take it wherever you go, just drop in your purse or pocket and be on your way. You can mix in a 16-ounce bottle of water and simply shake. It's just that easy! Iaso Tea Instant provides several all-natural and organic extracts well-known for their anti-inflammatory and antioxidant qualities. The addition of soluble fiber in Iaso Tea Instant's formula is designed to reduce appetite so you will feel fuller after eating. 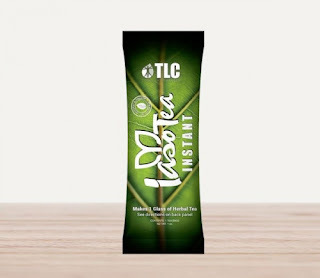 Iaso Tea Instant works synergistically with Total Life Changes' full line of health and wellness supplements and products. Consuming the tea prior to meals will begin to affect the stomach's "stretch receptors" which send a message to the brain that food is present. The soluble fiber enter the digestive tract after consumption, causing hormonal signals to be released to the hypothalamus (which controls body temperature, hunger, thirst, fatigue, sleep, and circadian rhythms). Both of these signals will continue to be released as your meal is consumed and will create a "feel-full factor" sensation within the brain. 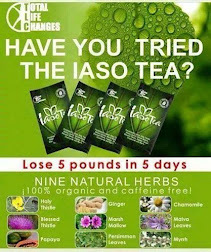 The instant version of the original Iaso Tea contains 4 key ingredients and I'll go over them in detail for you. Soluble Fiber Dextrin - Nutriose FM 06 is a soluble dextrin derived from corn starch (which provides the benefits of dietary fiber while maintaining the tea's quality). It has a low viscosity and dissolves in water easily. Studies have shown that soluble fiber dextrin can promote satiety (the sensation of feeling full). Cassia Angustifolia Extract - The extract of the seeds of Cassia Angustifolia, a native Indian plan, are reported to have powerful cleansing qualities that relieve constipation. The extract may also increase colon motility. Carica Papay Extract - This flowering plant originated within Southern Mexico and Central America. Carica Papaya is believed to have anti-inflammatory, antioxidant, and wound-healing properties. Matricaria Chamomilla Extract - This extract is derived from the flowering head of the annual plant. It has been used in herbal medicine to treat stomach pain, irritable bowel syndrome, and as a gentle sleep aid. Iaso Tea contains no caffeine. How Do You Get An Instant Iaso Tea Sample? If you'd like a sample of Iaso Tea in the instant size (which is one serving size), click here now! Instant Iaso Tea is very easy to use, just add to a 16 ounce bottle of water and shake! Only one (1) sample per household and you must be in the continental United States. TLC reps are not eligible. If you'd like a one-week supply of Iaso Tea instead of the Iaso Tea Instant, CLICK HERE NOW to purchase a one-week supply and I'll get that sent right to you! PS...Due To Overwhelming Demand, FREE Samples Are No Longer Available, However Click Here To Get Your Sample At A Super Low Price To Cover Shipping And Handling! What's The Resolution Drops Diet Plan? Are You Looking For The Resolution Drops Diet Plan? Look No Further! I've broken it down in an easy to read format for you right here on my blog so you don't have to worry about printing it out...Just bookmark this page and save it for future reference in your mobile device. Now, in case you haven't heard about Resolution Drops, I'll share with you really quickly. Resolution Drops (Review) is a proprietary formula owned by Total Life Changes. 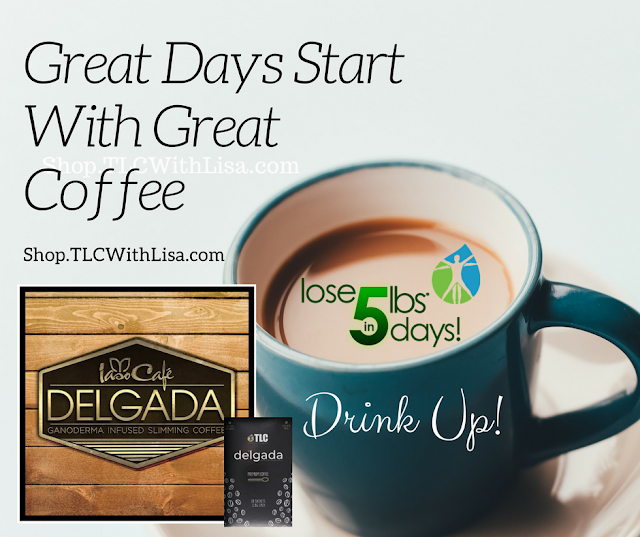 It was introduced to the market in January 2015 and can help you lose 1 to 3 pounds daily. You'll just place 10 drops under your tongue and hold them there for 15 seconds and then swallow. You'll do this 15 minutes before and after each meal. That's it...It's super simple and easy. With Resolution Drops, you'll learn how to eat a very clean and simple diet. Try not to complicate it too much and you'll be fine. The Resolution Diet plan is also ideal for a plant-based or vegan lifestyle. Remember...You are losing 1 to 3 pounds daily. You need to flush your system and water is the best way to do that. Here Are My Results After Just 1 Day On Resolution!! Here Are Your Resolution Approved Drinks, Seasonings, And Extras!! Here Is A 10 Day Sample Resolution Meal Plan For You!! Awesome! Okay...We got through the entire thing! If you have any questions, once you place your order, I am here to help and I will add you to our exclusive group on Facebook! Just shoot me an email at asklisamason@gmail.com. You can also find the group here. 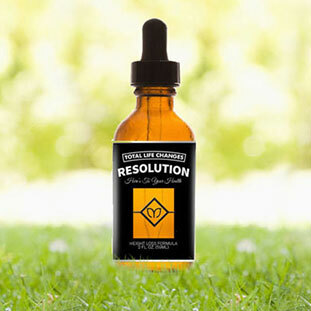 If you're ready to order your own bottle of Resolution Drops and get started, CLICK HERE! Have an awesome day and I look forward to helping you shed the weight!! I have to admit...I'm a cabbage soup lover but I don't like my cabbage soup bland. Some people like it with just cabbage and stewed tomatoes and if that floats your boat, that's cool. But the chunkier it is (with more vegetables) the more apt I am to eat cabbage soup because I'll stay full a little longer. 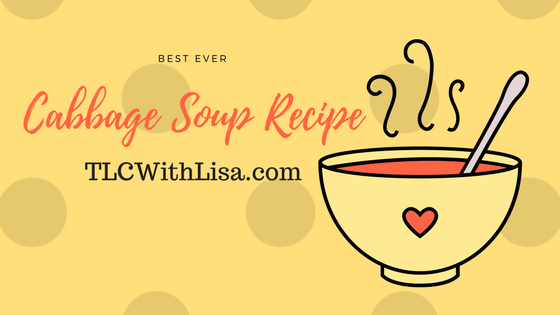 So I'm going to share my Best Ever Cabbage Soup recipe with you. Feel free to add ingredients to it or even take something away if you don't like it. You can even add ground turkey meat if you like. Some people refuse to eat anything without protein so it's really up to you. It's going to be low calorie anyway so ground turkey won't hurt it as long as you drain the turkey meat well. I'd even rinse it with warm water to make sure I got the "grease" out of it. Keep in mind that you can also add ground beef or sausage but of course, you'll also have more calories. Start with 3 cups of non-fat beef broth. If you prefer chicken, that's fine but the beef broth is more flavorful. You'll need one head of cabbage, quartered and then separated. You'll need non stick cooking spray. Olive or butter flavored is fine. You'll need 2 cloves of garlic, chopped. 1/2 cup chopped onion. I prefer red onions because they have more flavor. 1 can of stewed tomatoes. Now that you've got all of your ingredients (except the cabbage and green beans)...spray a pan with your non-stick cooking spray and add all of your vegetables and your seasonings. Let them saute for 5 to 10 minutes until your veggies are tender and your onions are glistening. Put your cabbage in a pot with your broth and let it come to a boil. Once your pot is boiling, reduce to a simmer and add your veggies from the pan. Let it simmer until the cabbage is tender and and VOILA...best cabbage soup ever!! Want to lose even more weight? Drink Iaso Tea with it! 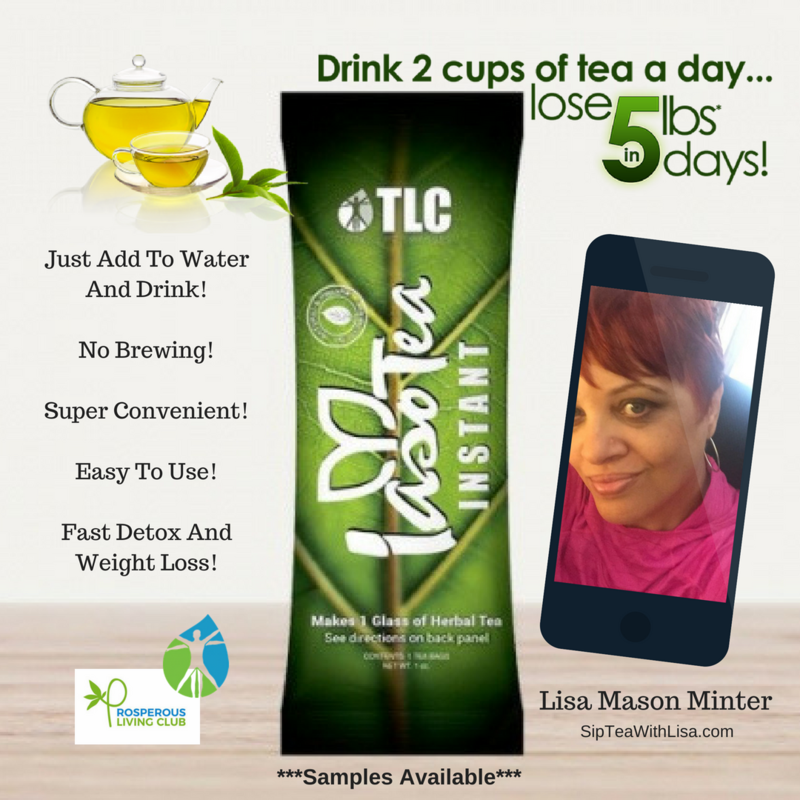 Lose 5 pounds in 5 Days with Iaso Tea! Click Here For More Info About All Natural And Organic Iaso Tea!! 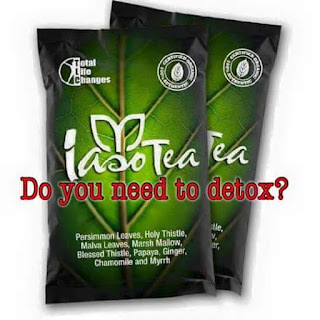 Can Iaso Tea by Total Life Changes Really Kill Parasites And Cleanse The Colon? I actually came across this article today when I was posed this question and it was so full of information that I surely did not want to leave any of it and decided to share it in its entirety. Dr. Oliver: Even though its name is derived from one of the five medicinal herbs, Holy Thistle, I do wish that they had not called it a Tea, because it lessens it's value in the eyes of so many. However, that is what we, the messengers are for. As you know, it just happens to be the most exquisite and comprehensive total body, herbal cleanse known to man....it's not just a tea....it's a life saver...I start all of my patients out on the Holy Tea, (Please note: the tea’s name was changed in 2011 at this site to “MyMiracle Tea with Dr. Miller’s approval and consent) because it is the most important part of the wellness puzzle. ....not having good bowel management is a death wish............and it doesn't take a rocket scientist to understand simple and obvious cause and effect........Unfortunately so many of the biggest lessons in life cannot be taught............"death does start in the colon". ...a dirty colon equals dirty blood and dirty blood equals a toxic and acidic body.....the number one cause of chronic disease and death.......on the contrary, "life starts in the blood. "......good, alkaline, clean blood that is associated with a clean colon. "When you are up to your neck in alligators, it's no time to drain the swamp." Yes, the cure is in the prevention, not the treatment........Treatment has never cured anything.....only our body can do that, .....providing it's not too late. It's so easy to just drink two cups of tea a day. Yes, you can skip a day here and there after about 6 months, however, it is a lifetime habit one wants to have, because of our toxic environment, taking in parasites daily, along with daily stress, metabolic and dietary acidosis. Did you know that if you do something everyday for 90 days and your brain, being plastic in nature, will not go back to its previous habit. There are additional major changes that take place in 5 months and then at the 11 month period. This happens to be the same phenomenon in getting wanted results in business and life as well. It is interesting that is how the tea works too. I just recently learned this as I had always been told that it took 21 days for a behavioral change to take place. Perhaps it just gets it start there. Another plaque on my office wall said: "There is nothing I can do that will overcome what you will not do." May 8, 2009 testimonial shared by Dr. Russ Newman, a lymphologist in Mesa Arizona from one of his patients: Marlise Kalbees-Cook: Approximately 6 weeks ago I started taking Iaso Tea daily. I did not change ANY of my normal daily rituals including exercising, vitamins and food intake. In the first 2 days I lost 5 pounds and had a bit of (not uncomfortable) elimination, then things were back to normal. 3 weeks later I realized that I had more energy, felt happier, was more relaxed and the belly bulge was slightly decreasing in size. 3 more weeks (total of 6 weeks) later, I certainly am happier, have more energy and the belly bulge has decreased a bit more along with some of the fat I was and carrying all over my body. Previously I had always had a flat stomach, (you know in men it’s the beer belly in women it’s just a big stomach) when the belly started to appear 5 years ago, exercise and diet did nothing to decrease the size. I was very frustrated and had no idea what to do to decrease its size and it seemed to keep slowly growing. Now I can button and zip my pants and can’t wait to arrive at the next smaller size, Yahoo!! I can visually see a slight decrease in body fat all over. Candida and IBS - I have had several things that have made me feel like the tea is a miracle for me. Early on I developed a lot of sore throats which led to candida because I was taking a lot ofantibiotics, and that led to having systemic yeast in the bloodstream, and one of the things that the tea gets rid of is candida, not only in the blood (because it purifies the blood) but also if you have chronic yeast infection that is pretty uncomfortable. The other thing that was amazing for me was I had IBS (irritable bowel syndrome). I didn’t realize it at the time, but one of the things that causes irritable bowel syndrome is candida, and another thing that causes it is eating a lot of processed food and sugars.. As I progressed I started to eat better, but until then I had IBS and that caused a lot of havoc in my life. It actually knocked my electrolytes off, which affected my heart, and that affected also the way I absorbed nutrients. Before I got on this tea I had a number of things that were going on in my system, so I actually went to a couple of gastroenterologists hoping that they could give me some insight into what I could do to get rid of the IBS, and they always said "medication, medication." I was kind of reluctant to go on some of the medications because when I read what they did, it sounded worse than what I had! I didn’t want to make things even worse! When I got introduced to the tea I couldn’t wait to try it because when I read all the directions on it, it said it could get rid of every single thing I had! I thought, "Well, if it gets rid of half of these things I’ll be happy!" 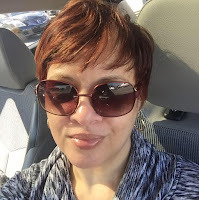 I started drinking Dr. Miller’s Holy Tea a year ago and then I switched over in December to the Iaso Tea, (In 2011 the tea’s name was changed at this site to “MyMiracle Tea”) and I love it! I have no more IBS, I don’t have candida anymore. I know I am absorbing my food better because I have a lot more energy, so it has been a miracle in my life. Help for Chronic Fatigue Syndrome and Diarrhea - I got a phone call this week from a friend of mine who has started drinking the tea this past month. She suffers from chronic fatigue syndromereally bad, and one of the side effects is diarrhea, She has been on it for a month now and she called me just this past week to tell me that the diarrhea is gone. Isn’t that amazing! She wanted to give it a little longer because she’s only been on it for a month, but I said, "You’ve had diarrhea for years! You should tell everyone about it!" My friend is still nervous about this because she doesn’t want to give herself more diarrhea. People think that diarrhea is something to be avoided at all costs and that it’s something you are going to have to go through when you are drinking the tea. It’s better to go through it than not to take the tea and to stay with the diarrhea for the rest of your life. If we go through it for a while and we come out improved (as the tea is helping correct the colon) that’s what we’re after. Some people are still nervous with the thought of getting diarrhea, but diarrhea is a good thing–it meansyou are detoxing. If the tea is working on that, ultimately it will disappear. We just have to stick with it long enough to let it happen. We have to be willing to experience whatever it is that our body wants us to go through in order for it to be "fixed up". Our body will do this the quickest way it can. Comment - One of the biggest problems that some people have with drinking the tea is because "I am already having diarrhea..and I don’t want to have looser stools!" I just want these people to hear what you are saying that now you say you are normal. The Restoring Process - I have learned that the little spirals when you have the diarrhea originally are coming due to the fact that your colon is inflamed and there is purification and bacteria as a result. There is so much that can cause the diarrhea, but when you start drinking the tea it starts to actually restore the walls of the colon and sluff off all of the stuff that has accumulated on the colon for years and years, and so you are going to get diarrhea. And even if you had diarrhea in the beginning, it will assist the colon so that the diarrhea will ultimately also disappear. And now I don’t have the diarrhea, although I will say that every once in a while (because the colon is long) you get to a different place that is still impacted. Over the last year or so, I got into a variety of different of places in my intestinal tract (all the little curves and everything) where you find a little of this and a little of that, so sometimes I would be a little constipated or have a little diarrhea–but it goes away right away, and I realized that was a blessing because it finally reached that impacted part of the intestinal tract and got rid of that debris, too. Patience is Key - People want things done NOW–but it’s a process. Consequently, people are willing to take drugs or go in for surgery without realizing that there are so many ways alternatively that don’t have the side effects of these conventional treatments where we can take care of our bodies. Also, I learned that any time we have surgery or punctures energy escapes. So the energy (which is the life force in our body) escapes. If you have to have a surgery, then you do it, but you surely don’t do it unless it’s an absolute necessity. You try to take preventative measures and do other things that are alternative to take care of the situation. Listen to your Heart - I applaud those who have shared. Listen to your heart and try the tea and you will be amazed, (when given time) at the little miracles that happen after 30 days. For some it takes 90 days and even longer, but from that point on you’re still going to have little miracles and changes taking place. I had an experience within my first week, but not everybody does. Some people don’t like to be bothered with the changing of their bathroom habits–they don’t like to have to do anything different than what they used to, but yet they want the miracles to take place. They just need to have a little hope, have a little faith, and just try the tea. I had to start out with just ½ cup twice a day and after five days inflammation started leaving my body and the pain started leaving my body, so for me I had a quick response that gave me courage to keep trying, but I applaud those who have stuck it out for 30 days or more and then start seeing wonderful changes take place.. I applaud you for having the faith for that length of time and then continuing on. For me, I will not be without the tea. I will have it for the rest of my life just like I will have soap and water to shower with–as long as, God-willing, we have those opportunities. I really feel if you find a good product like this–something you never want to be without–that you would get more than a months’ supply as soon as you are able. Get it stored up so that you can share it with others and also have plenty on hand for yourself and your family. Babies can Thrive on the Tea - I had a grandchild who, after she was born, was having constipation problems and it became quite frightening when the medication the doctor had prescribed seem to make things worse. Often it’s a hard thing to recommend something to family, but my daughter did listen to me and she used the tea. She started out with a teaspoon of the concentrate and gave it to the baby. It took a couple of days to adjust the amount that would work with her, but she finally started being normal with her movements. The baby was happy–she loved the taste of it! My daughter remarked that the baby really craved it, so the baby was smarter than we are! Once you let it be a part of your life, you instinctively don’t want to go a day without it. I find that it is an emotional experience–you become very attracted to it emotionally and spiritually. You really feel like your body is being freed of the toxins that we breathe every day and those we get in our food and in the places that we live, work, and play. The fact that most of us crave sugar is an indicator that we really need the tea. A Testimony and a Question - The last couple of weeks I have lost about 10#, so I am real excited about the tea and I feel great. It is really helping. I learned that when you are detoxing your tongue has kind of a white coating on it, and I definitely have that! I teach and I have been putting eight ounces in a container and I add water to it so that I am pretty much drinking it all day, and then I have my second eight ounces when I come home. Is it not good to add the water, or what? Comment - Just listen to your body because everyone is different. Some people have to dilute it a lot and some drink it concentrated (without any additional water). Some people do that all the time, so the best thing to do is listen to how you feel–there is really no wrong way. It’s best to use pure water to make the tea, but I would rather somebody use water from the tap than not to make the tea because you will have some benefit. Even if somebody said they boiled the tea, it’s not terribly wrong, but you’re not going to get the benefit if you do that. I drink my tea concentrated, but I pay attention to my body. You have to really listen to your body and if you are eliminating way too much, then cut back. If you work, that can be a problem. I am at home most of the time and I don’t mind because I used to be constipated. If you are doing well the way you are doing it, just keep on, or you might want to drink it concentrated on the weekends so you will know what it’s like. The most important thing is to listen to your body. From an Experienced User - Everybody is different. The recommend amount is 20 ounces a day–that’s kind of a starting point that Dr. Miller has come up with, but that doesn’t mean you have to do that. It’s just a place to start because people don’t know how much to drink, but everyone can test it. If you are not having good results right off, then definitely drink more or try drinking maybe four ounces of the concentrate with the other 16 ounces diluted in the beginning, or just do it however you feel. When I got my tea I was plagued with intestinal parasites. I was eating a lot of raw fish because I thought I would be healthy doing that. I just knew that I had to drink the concentrate. I made the quart and I drank eight ounces of the concentrate on the first day and the rest of it the next day, and the third day I expelled a whole batch of round worms, and it was amazing! So whatever you get the feeling to do, just do it. There is no right and no wrong. Comment - Even if you are in your 60's and you’re not doing anything to detox your body, you are going to get worse. It’s very hard for us to change what we do–the foods we eat, the things we do, where we live, the environment, etc., but it’s going to continually get worse. If you want to be limber and young (as you get older), you’ve got to clean out! If you have diarrhea, stay home a day or so and fix the problem. Still Dropping Pounds - I have been tall and skinny all my life, but when I hit 40 I went from around 117# up to 130#. I couldn’t wear my skirts and other clothes I used to wear, and they are getting very tight. I’ve tried lots of things–I’ve gone to one meal a day and my protein shake and still couldn’t shake that extra weight. I tried exercising and then I hurt my hip, so that was out the door.. I started on the Iaso Tea and my first day I dropped a pound and I started dropping ½ pound every day, and then I hit about 126# and I leveled off, but my stomach is totally receding. 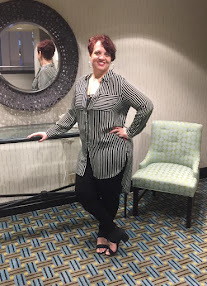 I looked at my stomach and rejoiced–it’s flat again! I am very, very happy with it. Both my mother and I did have diarrhea for the first few days, and I knew it was cleansing, but I have been organic for years and years and have been on a very healthy diet. In spite of that you still accumulate things that you don’t want, and I have been very challenged to get out and tell everybody about this product. It’s a very good tea and it doesn’t really have a taste, so anybody who is questioning, I say, "Jump on it..it’s great!" To Maximize the Effectiveness of the Tea … 1) EAT SMART: A healthy diet limited in refined carbohydrates, white flour, sugars, etc. Lots of fruits and vegetables. Limited dairy and meat products. I recommend “Fit for Life” by Harvey and Marilyn Diamond. Even moderate adherence to their suggestions pay big dividends and maximize the effectiveness of the tea. 2) DRINK WATER: It goes without saying that when we’re scrubbing something dirty, we need water to RINSE, RINSE, RINSE the loose stuff that may be getting un-stuck from the colon walls.3) EXERCISE: Like the agitation of a washing machine that loosens dirt, exercising will help assist to clear out the loosening matter in your colon. 4) BREATH DEEPLY! MOST IMPORTANT! Oxygen Therapy: As we take a close look, those that the tea has worked best for have teamed it up with a deep breathing regime several times a day. Stand tall. Breathe in through your nose, with mouth closed. Deep, Deeper, Deepest. Be noisy, so your nostrils compress. Then exhale. Out, More, MORE. You should be pushing it out like a good belly laugh. Then repeat. 5) UNDERSTAND PARASITES: If you feel you may have parasites, (and believe it or not, most of us do!) you may want to seriously consider choosing a couple of days for drinking the straight tea concentrate. (Make the one quart of tea concentrate as directed, but DO NOT DILUTE. Then drink 2 cups one day, 2 cups the next.) You may want to consider doing this during the full moon cycle as studies have shown this is when parasites are most active, coming out from between the creases and folds of the colon, allowing the tea to have more contact. It is important to remember that like all living things, the parasites have a life cycle, and while the tea may kill those that are fully developed, there are eggs that have not hatched that will need to be addressed several weeks down the road. This is the reason for CONTINUING with the tea! For some people it may take several months or longer to clean things out with these nasty bugs. 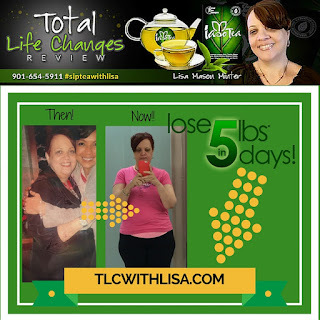 If you would like to purchase Iaso Tea by Total Life Changes....CLICK HERE NOW! Total Life Changes' Iaso Techui (tah-chew-ē) is a super food that can be used by both men and women. 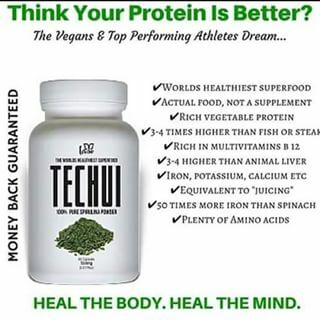 Techui is made of Blue Green Algae, also known as Spirulina. It is found in many salt water lakes, but was first cultivated and named Tecuitlatl by the Aztecs. They made it into cakes and ate them regularly. The Iaso Techui capsules are filled with 100% pure Spirulina powder. It has more protein than what is found in steak, and has the missing B vitamins needed by vegetarians. It is very useful for a meal replacement and can also be used with other TLC products like Resolution 20 Drops. Taking just 3 Capsules daily with a glass of water would allow you to survive over 30 days with no food and still be very healthy. It is very useful for increasing muscle definition and growth (muscle mass), making it very beneficial for body builders so you can get a more effective workout in the gym. It will also help people who are bedridden or unable to exercise to rebuild their muscles. Techui is very easily absorbed by the body, and is used as a powerful super food for malnourished children in poverty stricken countries. Because it is incredibly high in calcium, it is very beneficial for children, expectant mothers, people with anemia and the elderly. It contains ten vitamins, eight minerals, and eighteen amino acids, which makes for an extremely powerful dietary supplement. It restores nutritional balance with daily consumption. 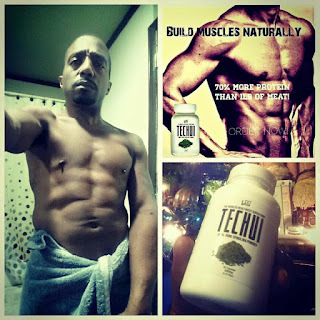 How much is Techui by Total Life Changes?